Every Startup is unique, as is every Xero set up and implementation. You can rest easy knowing that we are the leading Xero Certified Accounting Firm in Singapore and we have the expertise to make your transition to Xero simple, inexpensive and hassle free! We offer four levels of Xero support packages to suit your budget and scale your Startup into a profitable and streamlined business. 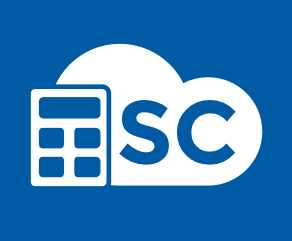 Clients of SC Cloud Accountants Pte. Ltd. - Singapore - Chartered Accountants connect to a range of banks via Xero. SC Cloud Accountants Pte. Ltd. - Singapore - Chartered Accountants specialises in working with some of those banks; they can help with setting up bank feeds, and are knowledgeable about accessing bank loans and streamlining payments through Xero. SC Cloud Accountants Pte. Ltd. - Singapore - Chartered Accountants works with businesses across a range of industries. They specialise in helping to choose apps that integrate with Xero to boost business performance for some of those industries. SC Cloud Accountants Pte. Ltd. - Singapore - Chartered Accountants serves clients who use 11 different apps that connect and integrate with Xero. Xero is beautiful online accounting software for smaller businesses. SC Cloud Accountants Pte. Ltd. - Singapore - Chartered Accountants can help make your switch as smooth as possible.